Beautifinous. : Benefits of essential oils and why you need to buy them! Benefits of essential oils and why you need to buy them! If you look at the ingredients in your beauty products then the chances are that you will see a variety of oils listed. Tea tree oil, lavender oil, eucalyptus oil, argan oil, jojoba oil... they’re used everywhere. Essential oils can benefit your skin in so many ways. Why else would they be included in beauty products the world over? In fact, their presence is spotted in non-beauty products such as cleaners and insect repellents too. They can even be used to affect your mood. As this is a beauty blog though, we’re going to be focusing on the beauty side. Now, have you ever actually thought about using essential oils to create your own products that are low in price and tailored to your skin type? Not to mention that it’s incredibly easy and quick to do which, of course, is what this blog is all about! It’s also pretty fun! 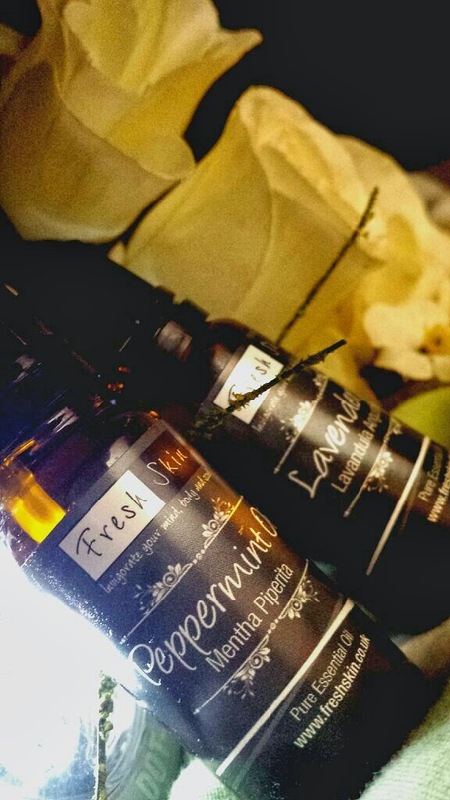 I got in touch with Paul Rawden from Fresh Skin to discuss the benefits of essential oils and how you can make the most of them. A variety of essential oils are used in different types of products to treat a range of problems. So what are they? “Essential oils are century old multi functional ingredients which promote many healing, soothing and stimulating properties,” explains Paul. "Lots of main high street brands use essential oils in products.” They are obtained from the leaves, roots and other aromatic parts of botanical materials. 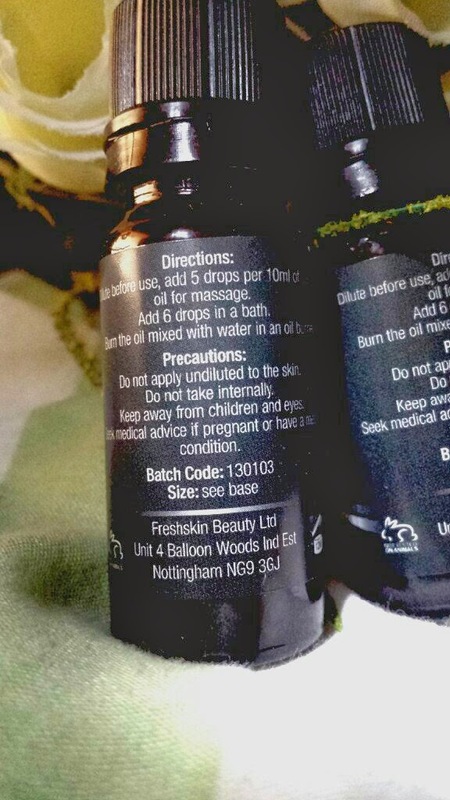 But why should you use them and what oils are suited to what skin type? “Tea tree oil has astringent properties,” Paul continues, “so it’s often used to treat oily and acne-prone skin.” When asked about what oils are best suited to dry skin he responded, “We have two ways of treating this. 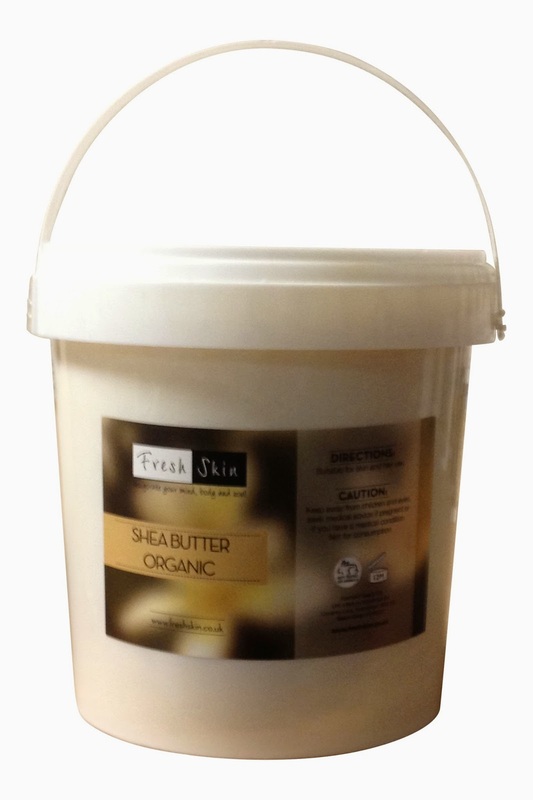 We use organic shea butter for the body and organic rose hip oil for the face. For mature skin on the face we would advise kernel oil which is lighter." However, there are a couple of very important things to keep in mind when using essential oils. But what is a carrier oil? The clue is really in the name. They are used to dilute essential oils and ‘carry’ them onto your skin. Application of essential oils directly on to the skin can cause irritation, so using them properly along with carrier oils prevents this. Examples of carrier oils are grapeseed oil, almond oil, apricot oil and sunflower oil. Carrier oils are the preferred method of ‘carrying,’ but there are other options available such as a base lotion or cream. Photo used with permission from Fresh Skin. Combine 1/4 cup of aloe vera gel with 10 drops of geranium oil, 10 drops of lavender oil and 6 drops of either lemongrass or tea tree oil. 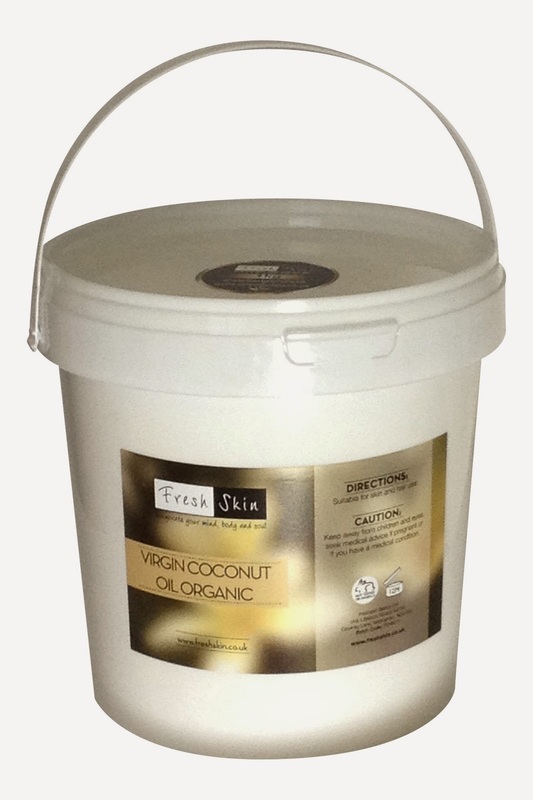 Blend all of the oils and gel together and apply to blemished areas twice daily after cleansing but before moisturiser. Do not use around the eyes. Can be used under makeup or alone. Add half a cup of a carrier oil of your choice to a cup of brown sugar. Add peppermint essential oil for an invigorating foot scrub. Follow the same recipe above, but you can replace the peppermint oil for any oil of your choice. For that bit of luxury, you can make a butter scrub. Take 100g of monoi de tahiti, 50g organic shea butter and 100g virgin coconut oil and gently melt and then stir together. Whilst cooling, add white sugar and essential oils of your choice. The sugar and oils are down to choice, but the more sugar added, the more abrasive the scrub. Remember to cool the butter mixture before adding the sugar! For the mums out there, if you are wondering about which essential oils are suitable for babies or children, we have the answer to that too. “The only three that are suitable for children are tea tree, lavender and roman chamomile. However, these must be used at half the strength of adult usage,” Paul answers. So where can you buy all of these amazing oils and butters? 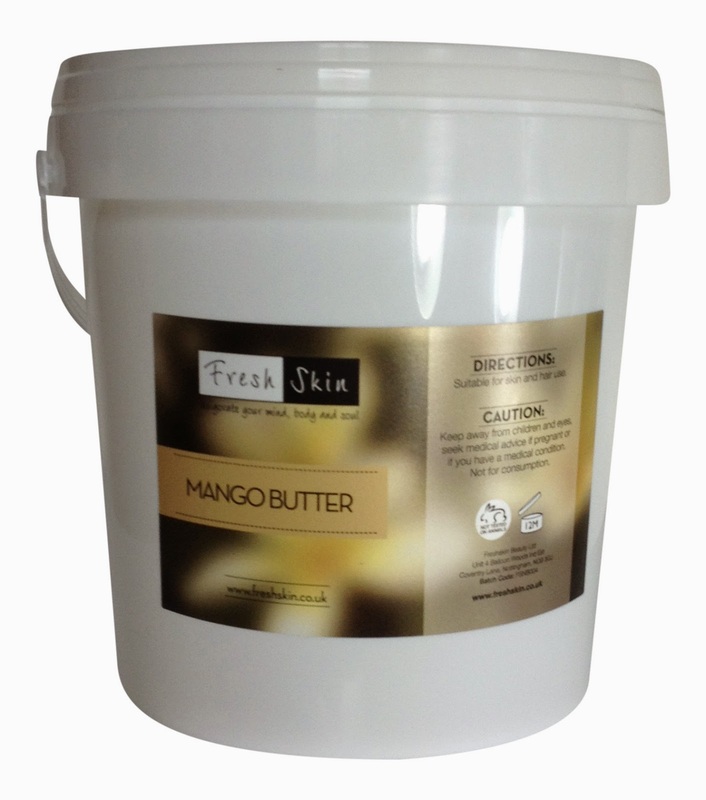 Fresh Skin has the whole range mentioned in this post available online. They offer a high quality product range without inflating the prices and as an online business they are entering their 12th year. They value all of their customers and are on hand to offer simple advice without the jargon, as well as the wonderful recipes above! Their top sellers are tea tree, lavender, peppermint and eucalyptus essential oils with jojoba, organic rosehip, sweet almond and grapeseed being their top carrier oils. “Citronella is very popular in the summer along with organic neem,” Paul tells me. 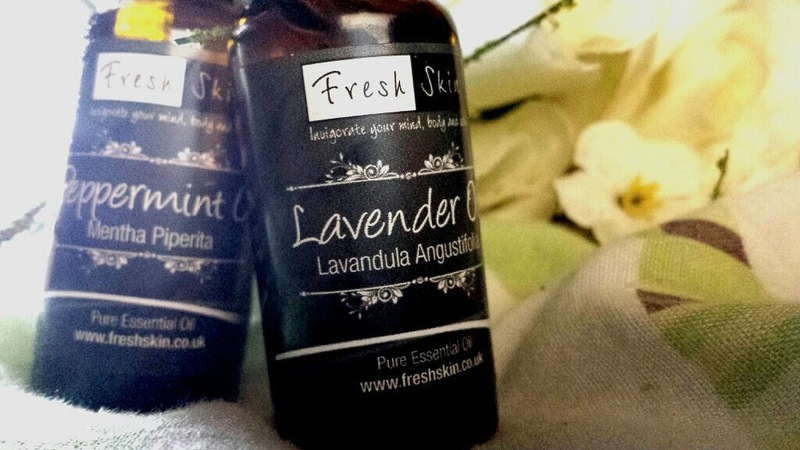 Not only does Fresh Skin have these popular oils, but they sell a range of other products too including handmade candles, soaps made with natural ingredients, a range of butters, fragrance oils and raw materials. What better way to create an all rounded natural beauty treat for yourself!? Or, seeing as Mother’s Day is coming up on Sunday, you could treat your Mummy! What better way to say you love Mum than to pamper her!? 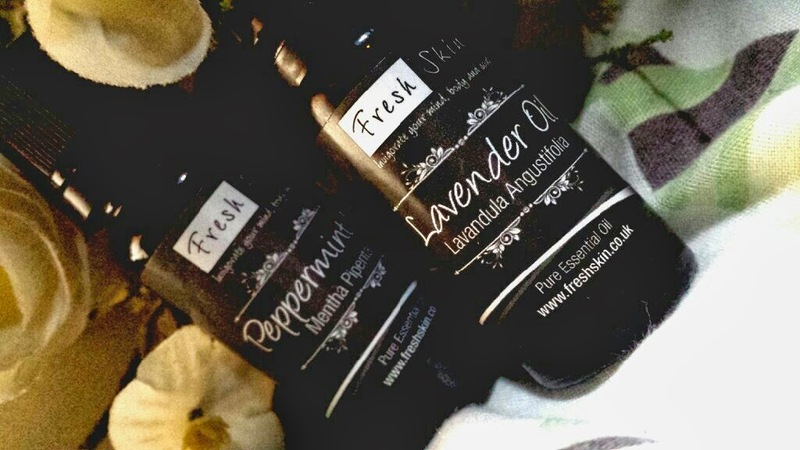 I currently have their peppermint and lavender essential oils (as seen on my Instagram) which I LOVE, but in the past I have used a lot of their other essential oils including tea tree, bergamot, lemongrass and others. All of them have been fantastic and I have always had a lot of fun creating my own products. Also there is just something so brilliant knowing that you’re using something that you made up yourself. Especially when it works for you! 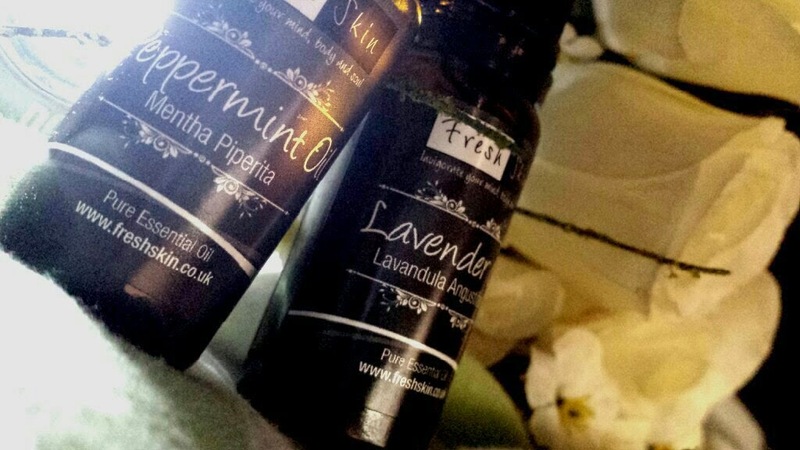 Using essential oils is so great when you’re a busy mum as well. It may not sound like it initially when you think that you have to blend things together (time doesn’t just pop up! It’s best to wait for the little ones to be catching zzz’s! ), but it really doesn't take that much time at all. Just think of all the money you save, too. Think cooling face mists, rejuvenating foot soaks… If you follow Paul’s recipes above as well then think of the benefits of cooling peppermint added to scrubs to wake you up in the mornings or relaxing lavender added to your bath at night time to help you wind down at the end of a busy day. A lot of benefits can be obtained from of a small amount of product. This year Fresh Skin will also be launching a brand new food concept into the market called Oil Infusions where they will be selling a food grade oil infusion kit for all of your culinary needs. The kit will enable the user to create their own blends of flavoured oils to dress salads, cook stir fry’s, marinades etc! It all sounds rather amazing! You can find Fresh Skin online in a range of places. You can visit their website which includes their shop, or if you prefer you can purchase their items on Amazon or eBay. You can contact them on Twitter and Facebook too! Have you tried essential oils before? If not, are you now considering trying one of the amazing recipes above? Do you have your own recipe ideas? Disclaimer: This is not a sponsored post. I purchased the oils myself and I have not been paid for my opinions or endorsements within this review. Thanks for sharing the benefits of essential oils. The process of using solvents is the least popular because it entails using chemicals made by man. In this process, the plant is dissolved in a solvent and the oil is then extracted from the essential oil. The oils are known as absolutes. I am so glad you posted more about essential oil. I have been using essential oils for years, My favorite is Lavender. I think essential Oils can have a healing effect mentally, physically, and emotionally. The right blend can also reduce inflammation, Argan oil so essential oil can also be an appropriate approach to dealing with swelling or chronic pain conditions. Plus, because they are non-prescription therapy, they are safe for use on all members of the family, young or old. World of essential oils is very interesting, I can find new combinations every time.